The MK Night Typist is built for typing professionals who work in both well lit and low light environments. 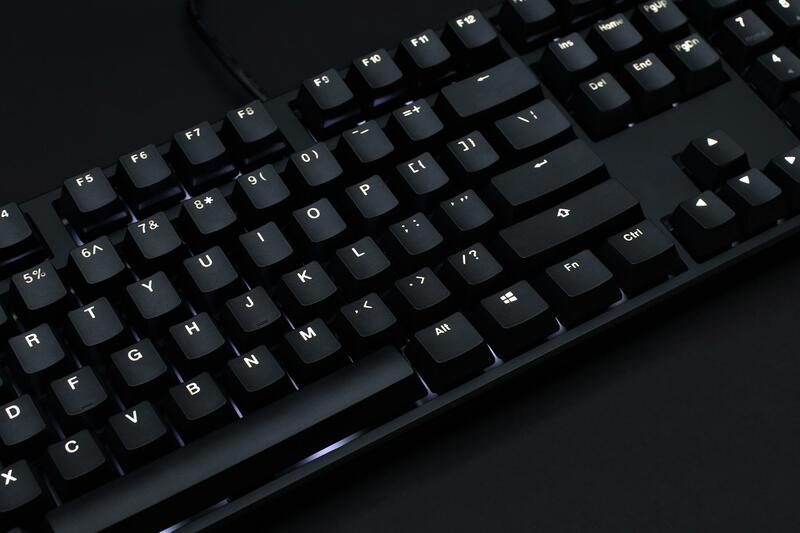 We looked at everything a typing professional cares about in their keyboard and combined it all to create the MK Typist, then we took it one step further and added warm backlighting to create the MK Night Typist. If you are a typing professional, this is the only keyboard you will ever need. 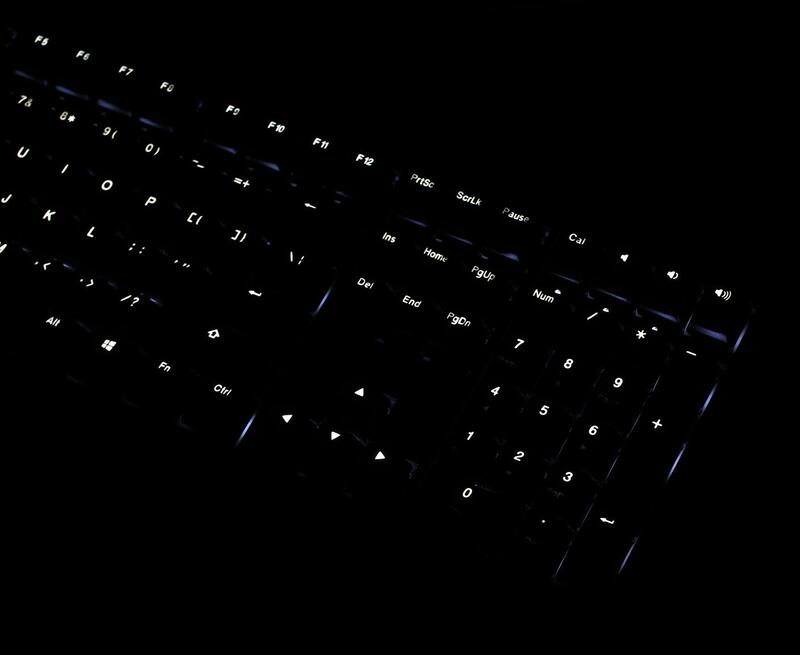 While bright, colorful lights with flashy effects are fun and useful for other keyboards, we took another approach for the Night Typist's backlighting. 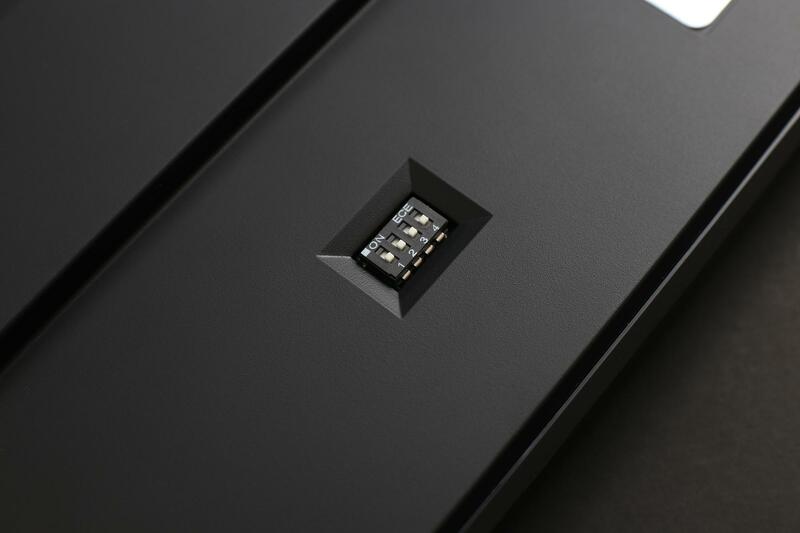 We equipped it with industry-first "warm white" lighting making the keys easy to read but not blinding or distracting in low light environments. The beautiful warm white lighting - adjustable with 4 brightness levels - fits perfectly with the Night Typist's clean, professional aesthetic. 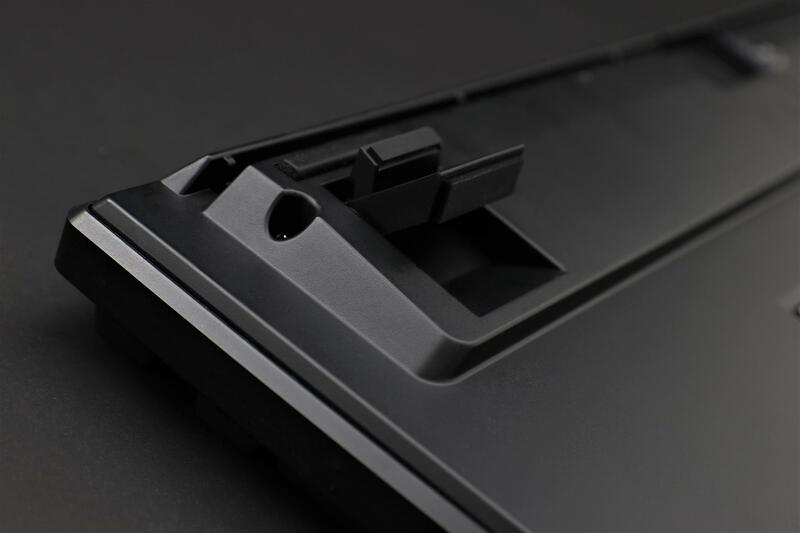 The weight, feel, and internal component stability of the Night Typist are immediately evident when interacting with the keyboard. Compare it side-by-side with another keyboard of your choice to truly appreciate the difference. 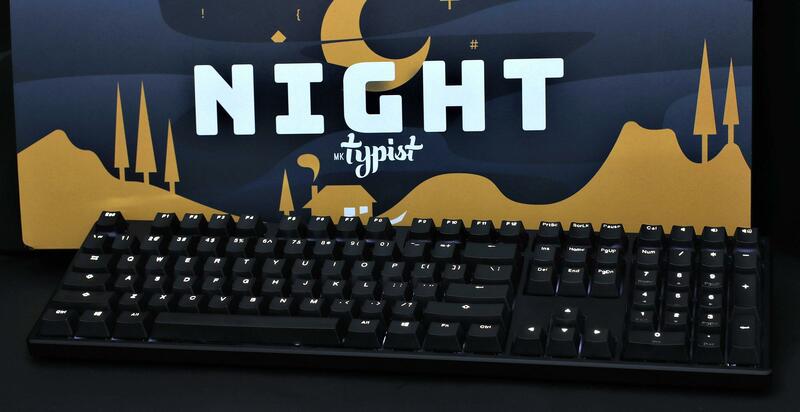 The classic styling of the Night Typist fits perfectly in a work environment, standing out through clean edges and quality – not flashy lights or branding. 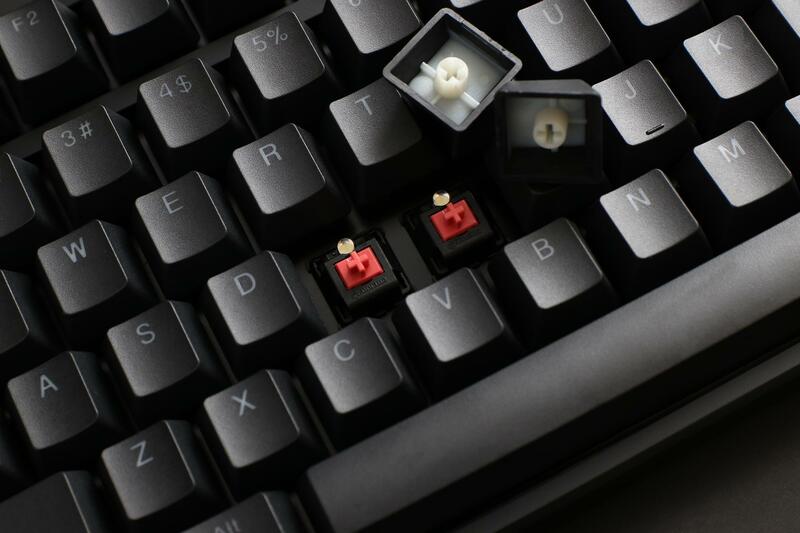 The Night Typist keycaps are constructed using the industry’s most respected material (PBT) and print method (Double Shot) resulting in caps that will remain sharp, readable, and shine-free through years of use. 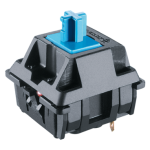 Cherry MX Blue for high audible and tactile feedback. Cherry MX Brown Switches for moderate audible and tactile feedback. Cherry MX Silent Red Switches for minimal audible and linear feedback. 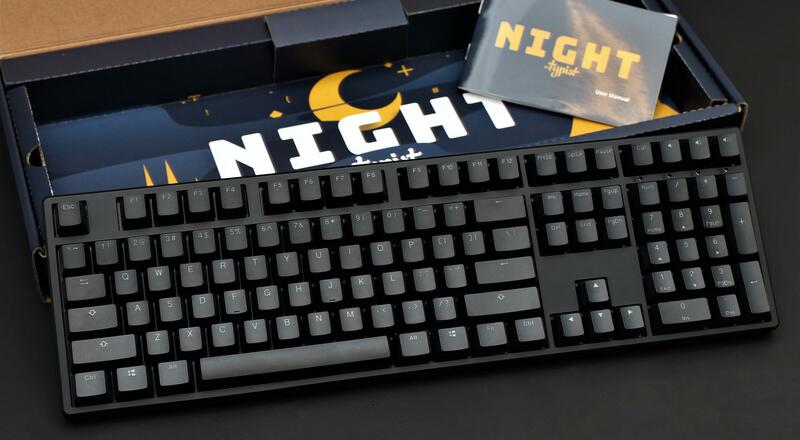 The MK Night Typist features programmable keys, a USB Type C connection, updateable firmware, and 4 dipswitches that allow users to select from 16 different key layouts including QWERTY, Colemak, Norman, Dvorak, Workman, three Minimak varieties, and even Alphabetical. 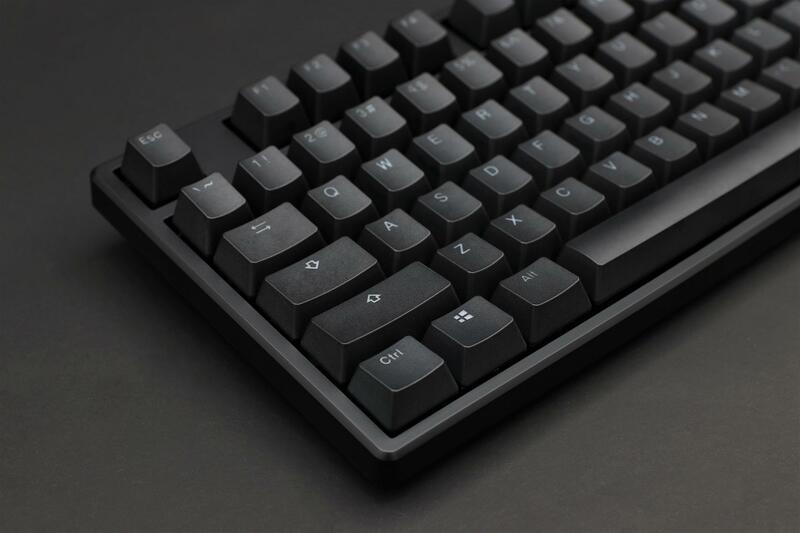 The MK Night Typist is the perfect solution for those looking to outfit their office or professional workspace with uniform, high-end backlit input devices without breaking the bank. The Night Typist box features stunning artwork making it the perfect gift for the typing professional you know. 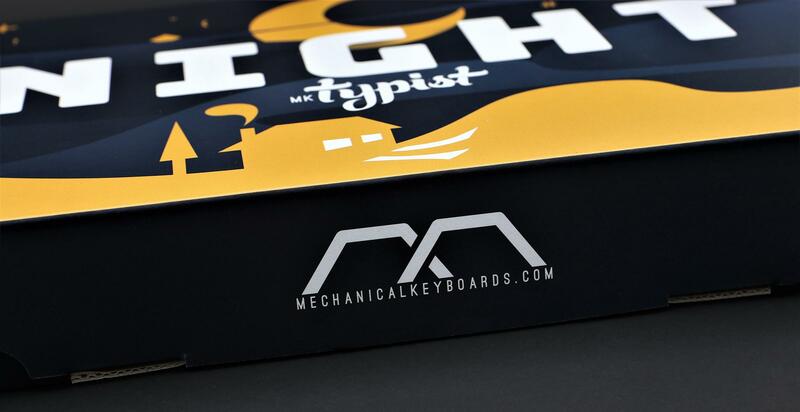 As with all MK brand keyboards, the Night Typist comes with the MK Guarantee which extends the MechanicalKeyboards.com return window from 30 days to 60 days and adds a full year to the keyboard's standard warranty. Without exaggeration this is just the best keyboard I have ever used. 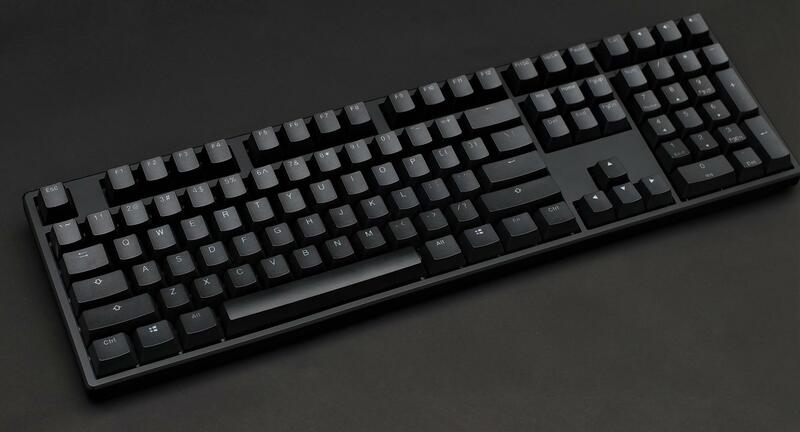 I was previously using a keyboard with the Logitech Romer-G switches which I found to be very loud so I selected the Cherry MX Silent switches when I ordered the MK Night Typist. I am very impressed by how much quieter these switches are. The travel seems to be shorter as well so I feel as though I can type a bit faster. I bought this keyboard to keep at home where I share a desk with my wife and she loves it as well. I bought this in a Cherry MX Blue, and I am enjoying it very much at home for casual gaming (DOTA2). I will say that it is a much needed upgrade to an old membrane quietkey that I grew costumed to. Just clicky enough, and can definitely register each time I spam a specific key for in game action. Absolutely love the simple White LED lighting, its not obnoxious at all and love the fact that it can have different levels of brightness! Considering getting one in Cherry MX Brown for office use, as I hear it's a good mix of the MX Blue tactile feel, without the loudness. Albeit, something that I could consider is getting the dampers. this is something I could dabble into in the future. I opted to switch to mechanical after having my Logitech Wave start having switches feel sticky and keys feel slick from wear. I am, overall, quite happy with my purchase. I would give a 4.5 rating if possible. Great keyboard! I had the non-lit Typist for work and decided I needed one for home as well to replace a very noisy Razor keyboard with green switches. The back lighting is very nice and the construction is rock solid. The silent cherry reds are fantastic for keeping everyone around me happy and are great to type and game on. Great keyboard (Typist) made better! Owning the original Typist, the only "downside" I had about it was the inability to have backlighting in case I was in a dark environment and had to type a special character that isn't often used (^, *, %). The Night Typist has such a pleasant backlighting that doesn't strain your eyes in the least bit. It's like f.lux for your keyboard! Love the keyboard and its function. The back lighting is very nice and I like the option for the different types of switches. I would like to be able to order custom keys with the keyboard so I know I am buying matching ones, meaning I would prefer to be able to buy the media keys to replace F5 though F8 at the time of purchase. Overall, would buy again. For me the cord is weak, I would like to see (or have the option) for a braided cord that is a little longer. It is nice that it is a USB type C so you can switch it out, but for me the included one is not long enough.